This is a guest post by Sarah Brooks whose biographical information appears in the author box below this post. If you would like to provide a guest post to Attempts at Honesty, please see the guest post guidelines and contact me if you are interested in providing a post. Although often considered a primarily Western religion due to its prominence in the Americas and Europe, Christianity has always had a strong presence in Asia. Between the 1st and 14th centuries CE, Christianity spread from Western Asia to China, and from the 16th century it spread further to Eastern Asia. Christianity is currently the principal faith in four Asian countries: the Philippines, Armenia, East Timor, and Georgia. Among the faithful in the primarily irreligious countries of South Korea and Vietnam, Christianity is the second most widespread religion after Buddhism. Perhaps most remarkably, China, which is emerging as a formidable economic power, is also poised to become the world’s largest Christian nation within less than a generation, according to an April 2014 report in The Telegraph (UK). Though officially the People’s Republic of China is an atheist country, with 60%-70% of its 1.3 billion people claiming no religious affiliation, the number of Christian congregations has soared since churches began reopening after Chairman Mao’s death in 1976. There may ultimately be a violent showdown between church and state, but as indicated in a recent battle over the Sanjiang church in Wenzhou (which government officials were threatening to bulldoze), for now the Chinese government seems to be willing to negotiate compromise with church leaders. Some observers have noted that the leaders do not want to make enemies of the estimated 70 million Christians in the country. Is Christianity always a force for good? This may seem a ludicrous question to the many followers of the Word who look upon the developments in Asia as a hopeful sign, and yet there are critics whose opinions are worthy of consideration. Though Communism’s shortcomings have certainly been well documented, Christianity over the centuries has also been criticized for being a repressive force. The target of the criticism has not been the teachings of Christ, but organized Christianity (and indeed organized religion in general). Organized Christianity has been called a source of bigotry, a cause of wars, an impediment to science and progress, and a tool for the exploitation of the environment and the destruction of native cultures. Unfortunately there has been some truth to all of these accusations, and as Christians we have to face up to these truths. Yet Christianity has also been a force for profound good, having had a positive impact in many areas of life. Beyond the Good News of the Gospel there have been many concrete, measurable influences. Christian organizations and individuals have labored all over the world to fight disease and hunger, and to help ease the ravages of wars and natural disasters. Christian influences have driven social change (e.g., the abolition of slavery, and prison and labor reform); the support of science and the arts; and the development of higher education, particularly in the United States and Europe. 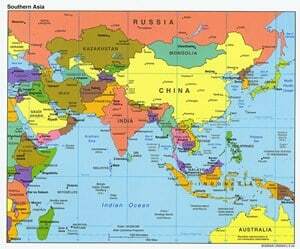 Those who strive to bring enlightenment in the name of Christ have certainly impacted Asia as well. For instance, for many decades various Christian organizations have worked to advance the causes of higher education as well as Christian values in Asia. One group that has been active since the early twentieth century is the United Board for Christian Higher Education in Asia. They describe themselves as “a Christian organization working in partnership with higher education institutions in 13 countries and regions of Asia to express values such as justice, reconciliation and harmony between ethnic and religious communities, gender equity, care for the environment, and civil society.” The Board operates various programs, and is involved in both seeking and bestowing grants. This is one of numerous organizations working to improve education and general quality of life for millions of people throughout Asia. While Christians have sometimes been criticized (particularly in the United States) for being regressive and oppressive, that’s not what Christianity is about. Rather, it is about endeavoring to live the teachings of Christ. Unconditional love, respect for people of all cultures, and stewardship of the natural resources bestowed upon us by the Creator are all in harmony with what Jesus taught. Today more than ever, Christianity is a truly global faith. May it continue to be a force for good in the world, and for unity rather than divisiveness. “For you are all one in Christ Jesus.” Galatians 3:28.